Chloe Moss' jewellery designs are notable for the high-quality of the Balinese Sterling Silver used, the expert, local craftmanship, and the edgy, feminine style of her designs. Each piece of ChloBo is inspired by Chloe Moss' interpretation of Balinese culture, and brings a touch of exotic beauty to whoever wears it. Designed for mixing, matching and stacking together, these bracelets are perfect for creating on-trend looks for day and night. 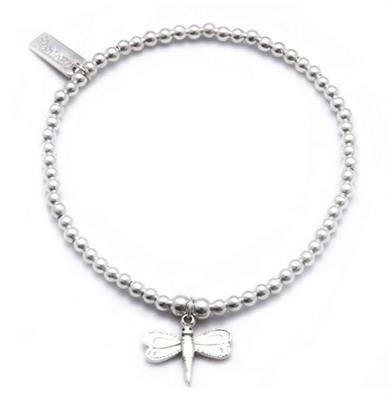 This bracelet features small, round Sterling Silver beads and a gorgeous dragonfly charm - don't let him fly away, add him to your collection today!